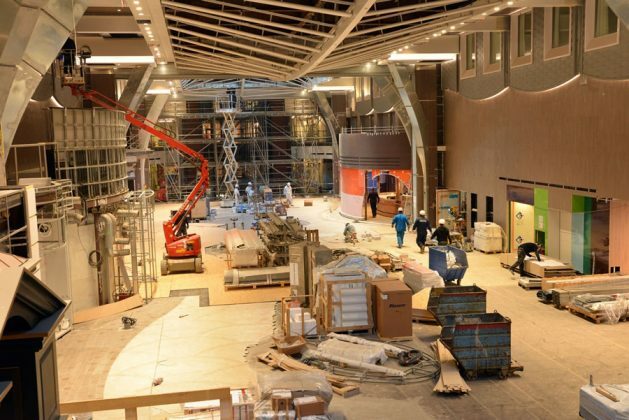 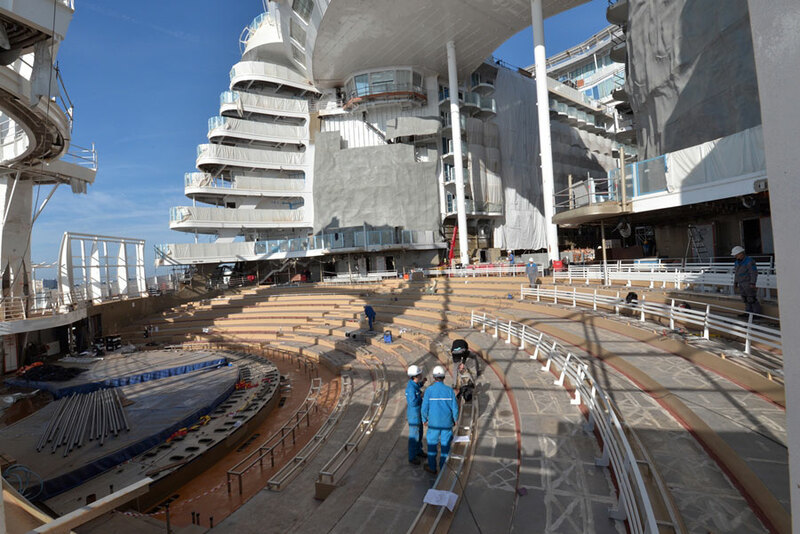 Royal Caribbean has released new photos of Symphony of the Seas which is currently under construction in France. The cruise line keeps the teases coming from the next Royal Caribbean cruise ship to arrive Symphony of the Seas. 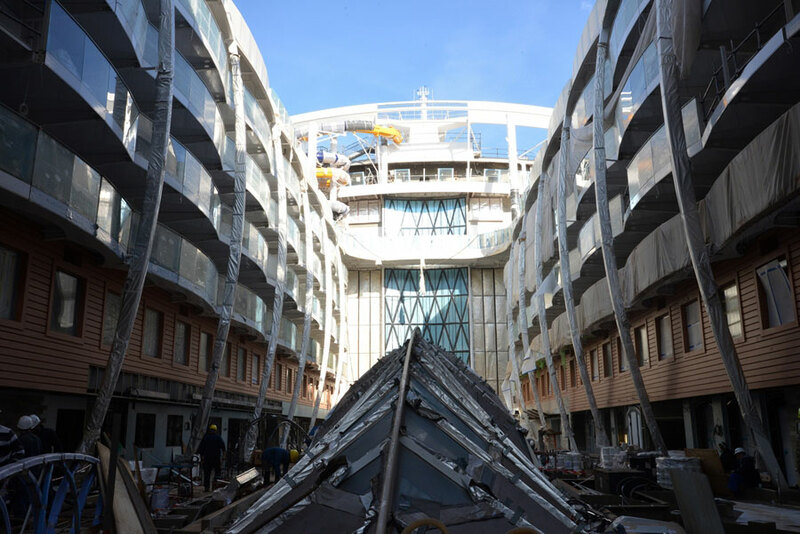 The new batch of photos is from onboard the ship while the fitting out phase is in full swing with interior spaces and features starting to come together. The ship is currently under construction at the STX France shipyard and has already been floated out onto the water. The fourth Oasis-class ship is now docked at a wet dock where workers and contractors are working on the interior spaces. The external part of the construction is complete but no doubt final touches are being done. 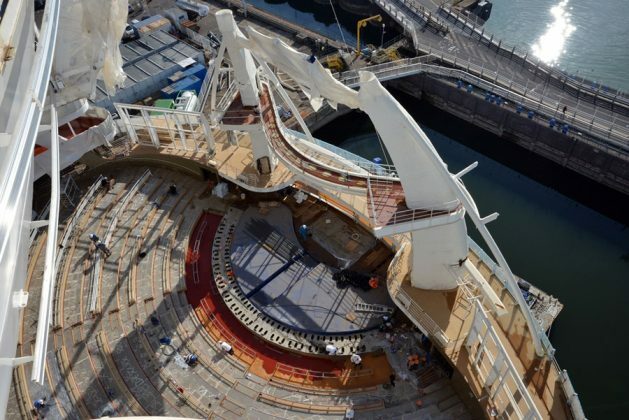 Symphony of the Seas will become the world’s biggest cruise ship once delivered in Spring 2018. 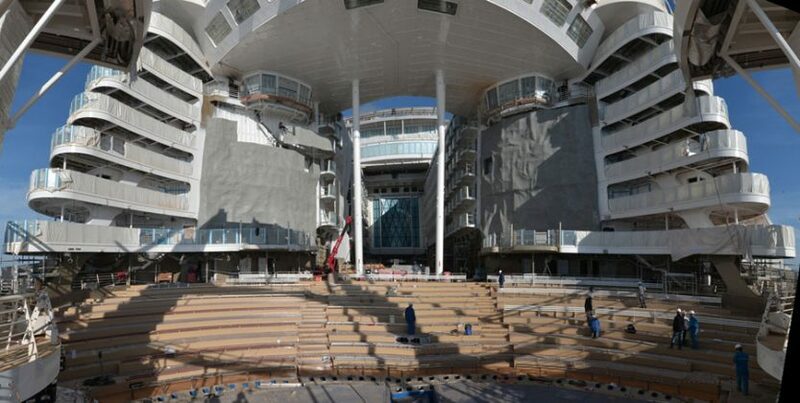 She will be the next Royal Caribbean ship to join the fleet so expect plenty of details to be released on the ship over the coming months. 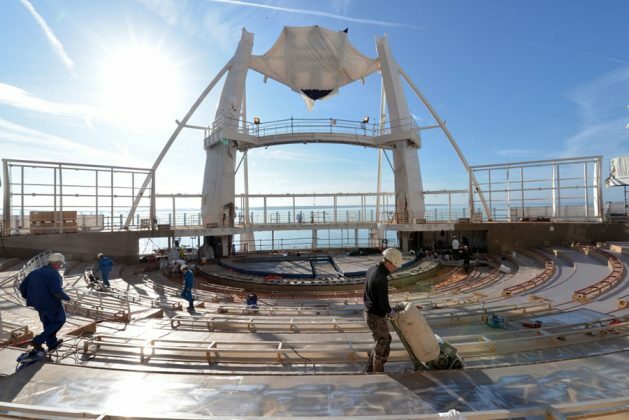 The ships maiden voyage will begin on April 21 around the Meditteranean from Barcelona, Spain. After a season in the Europe, the brand new vessel will sail across the Atlantic to begin its new service from the new Royal Caribbean terminal in PortMiami, Florida. 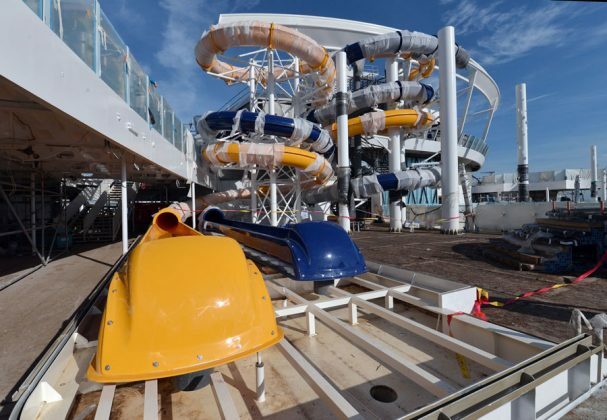 Caribbean cruises from Miami will begin in November 2018. 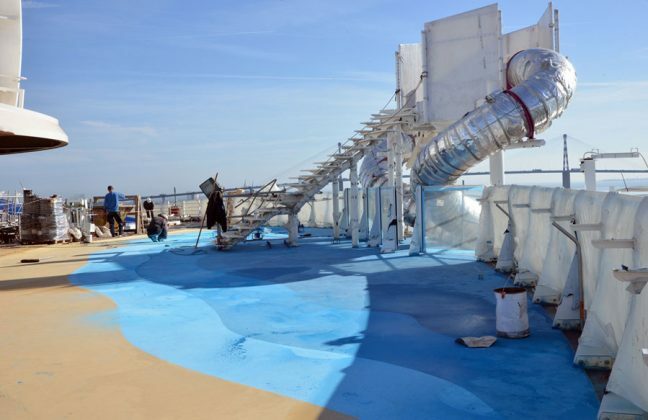 Symphony of the Seas will be 230,000 gross tons and carry 6,780 passengers at maximum capacity.